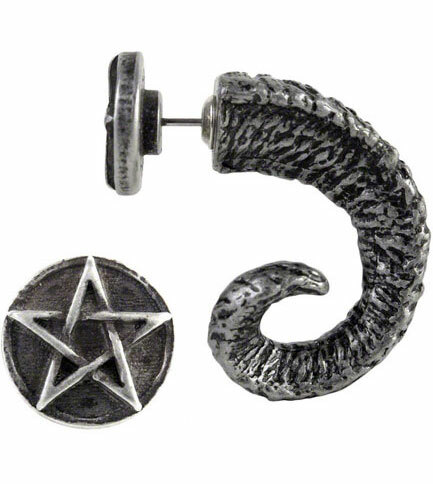 Intoned with ritual Pagan intent and excessive Crowleyan symbolism, this totem that is primeval indicates the wearer as essentially cryptic. 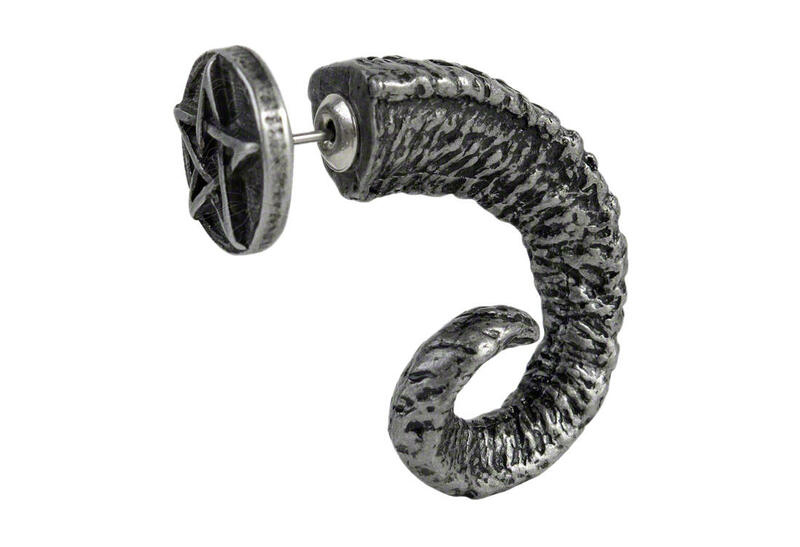 A pewter fake stretcher stud piercing, in the form of an antiqued, gnarled and twisted ram's horn. 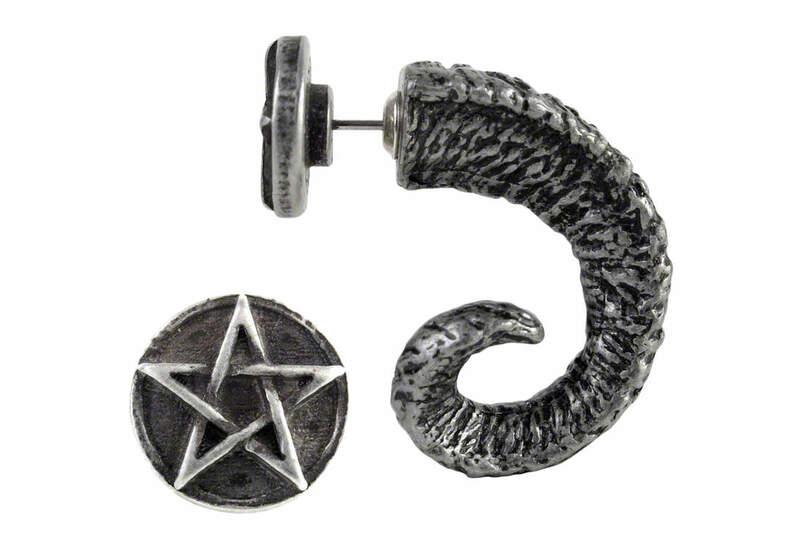 The end cap is in the form of a pentagram disc with a surgical steel post. Imported from the UK.